immediately he knew that she was d one, he had hung up & since then, his number had been unreachable. She needed his forgiveness. She needed someone to love her. She isn’t used to being unloved. something she regrets now beyond words. would not leave his wife who stood by him through thick & thin for her. she thought painfully. It tore at her heart & tears clouded her sight. that there was almost nothing she asked for which she wasn’t given. seeing d pedestrian crossing d road. able to compose myself ever since Oyin left. audibly even before they made it to my side. They both paused by my bed. The fact that I had been crying was not lost on them. I raised my eyes to glare at Richard. “Please tell him to leave Pric” I said with tears forming in my eyes. disagreement before; no one had. then, his number had been unreachable. for which she wasn’t given. I had been crying was not lost on them. what the matter is?” Prisca asked. speak but was interrupted by an intruder. though it did not reach my eyes. she stared at Doctor Felix with open mouth. My breath caught as I gasped at d revelation. 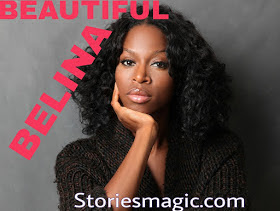 0 Response to "STORY: BEAUTIFUL BELINA (Season 2,Episode 22)"